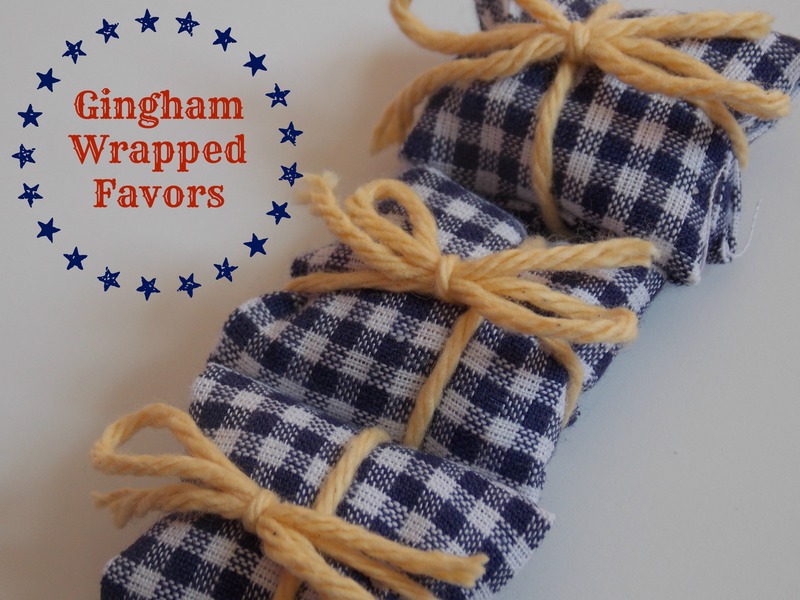 Today I am sharing an idea for favors that could be used for a banquet, party, shower, or even a wedding. If you’re into gingham, that is. I made a bunch of these recently for a cub scout banquet, also known as the “Blue and Gold Banquet” that is held annually. Basically I wanted to make something that looked non-girly but was still cute. Inside each one is an individually wrapped mint. Since I had to make over 100, I bought the mints at a bulk foods store. These were incredibly easy to make and I could see them working with a lot of different color schemes. 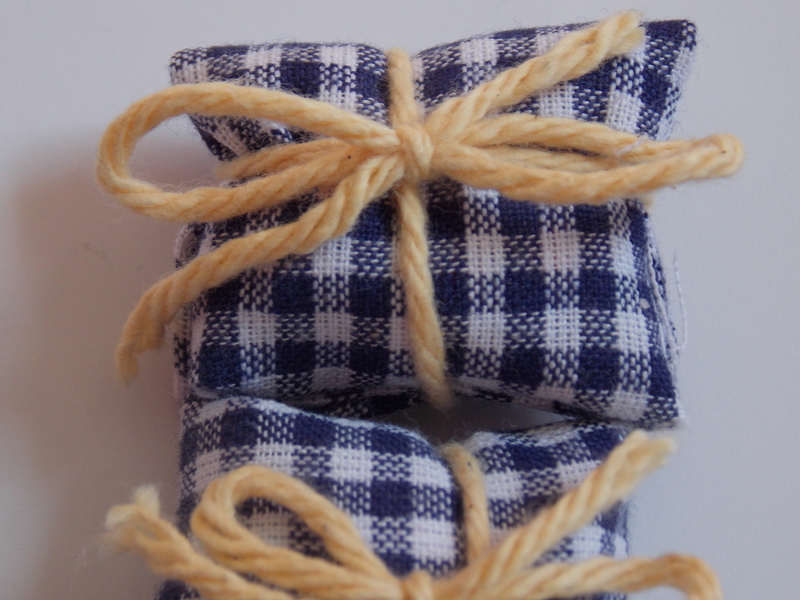 Also since these were for a Blue and Gold banquet, I used a blue and white gingham and a yellow cotton yarn. For the gingham, I cut squares that were right around 5″ by 5″ a piece. I can’t really explain how I wrapped them, but pretty much like you would a present and so no raw edges of the fabric were sticking out. After cutting about a 12″ piece of yarn, I wrapped it around the fabric one way, then crossed the two pieces and wrapped them the other way. 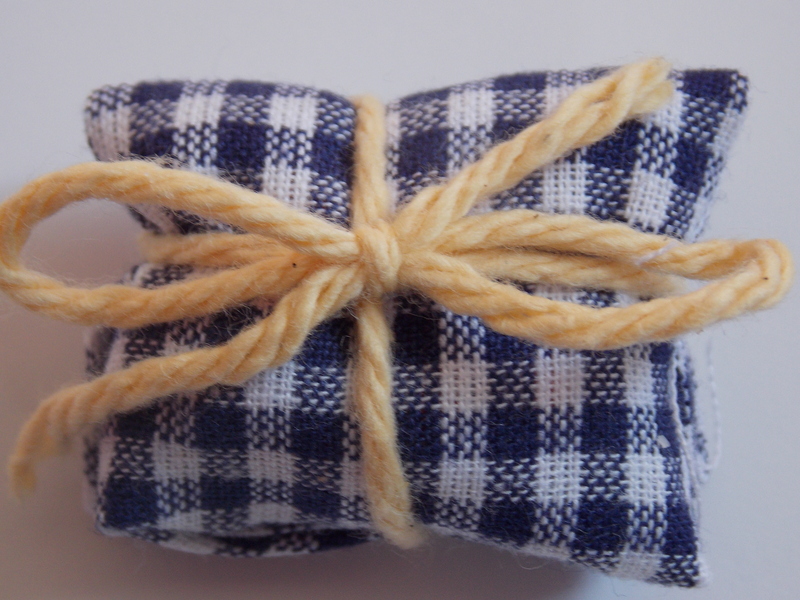 Each ended up with a simple little bow on the front. As I mentioned earlier, I could really see this same general idea used for a variety of occasions. I would totally use this idea again for shower favors or even for a wedding. 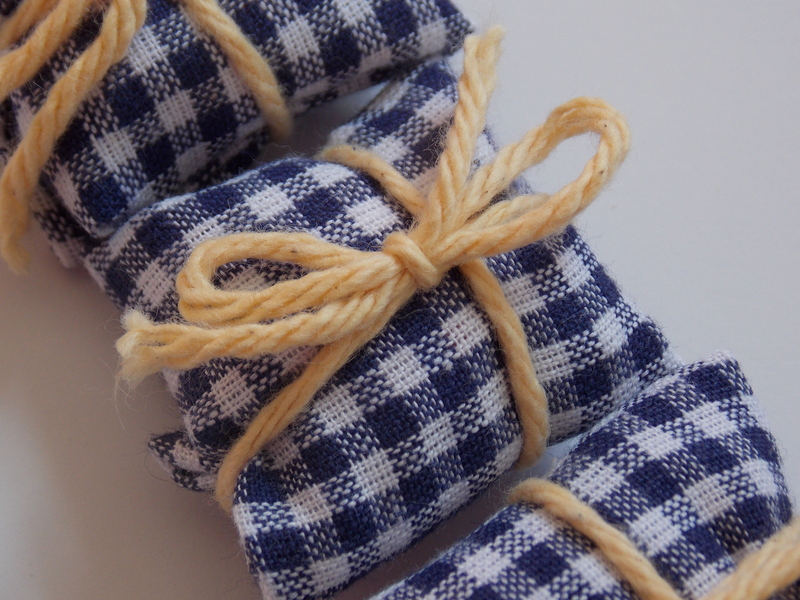 Gingham can be found in a whole plethora of colors, plus they could be wrapped with twine or any kind of ribbon. 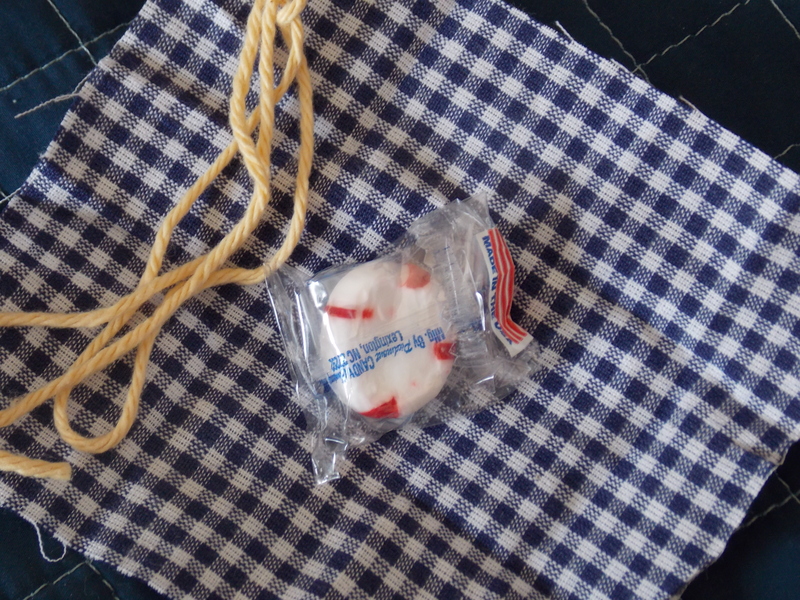 To see another one of my favor ideas, check out this post from almost two years ago. It’s one of my most viewed posts ever!